After our visit to Hackney Homemade on Saturday morning, Kat and I realised that we had over an hour to spare and we decided to walk down to Broadway Market. We made a quick detour into Primark first because even though it looked pretty warm and sunny outside, it certainly wasn’t! With a brand new teal scarf and smart-phone-ready gloves for me, we carried on with our journey. We walked through the beautiful London Fields, a very old park between Hackney and Regent’s Canal, which was historically used as a pasture field for cows and sheep. Wikipedia tells me that there has been a park here since 1540 and I imagine that this pebble-clad statue of flower-sellers is meant to represent the various merchants who have passed through this way over the years. There were sheep gathered around their feet and a couple of families were resting there on this quiet Saturday afternoon. 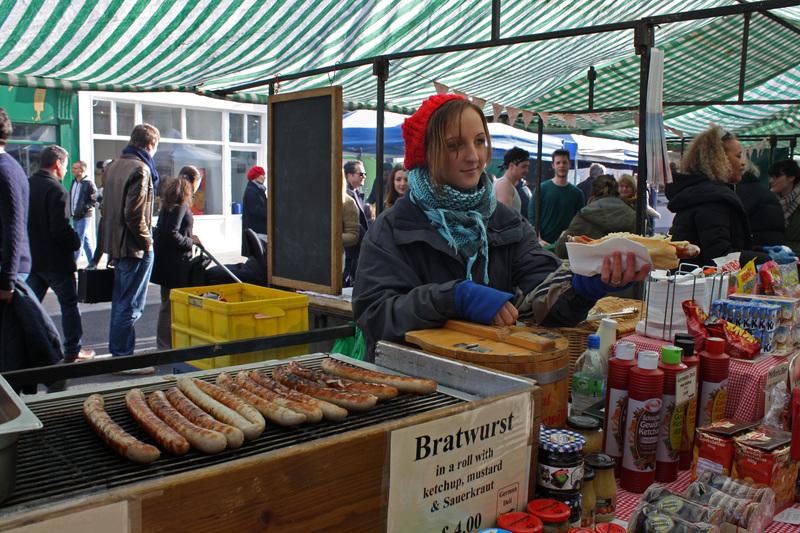 We soon reached the Broadway Market and were treated to splashes of colour and mouth-watering aromas. I’m learning to love markets and Broadway is one of the most vibrant and colourful London markets I’ve visited recently. Our first stop was the Coco & Me stall, which is one of Kat’s favourites. The lady behind Coco & Me is so lovely and friendly! She is a blogger too and I will definitely be visiting her blog and her stall again! There is food to suit every taste at Broadway Market and I noticed that many of the stalls focused on sweet goods including an array of cakes, truffles, tarts and desserts. If you have a sweet tooth, you simply must visit this market! Of course, those are savoury tarts and quiches in the photo above, which looked very tempting indeed. I visited the Polish Deli and I sampled a cheese pieróg (a cottage cheese, onion and potato dumpling) and a kabanos. Have I ever mentioned how much I love sausages of all sizes, shapes and origins? Well, unfortunately, I was juggling a camera, handbag, kabanos and pieróg and managed to photograph neither the Polish Deli stall nor the absolutely divine food. Needless to say, Polish food now lies firmly in my top 5 foods now, along with German, Italian, Spanish and Greek food. Kat made it as far as the German deli stall and had a massive Bratwurst. I have to admit, given my love of sausages, that this would have been my choice too had we arrived here first, but I am glad that I made the choice that I did. 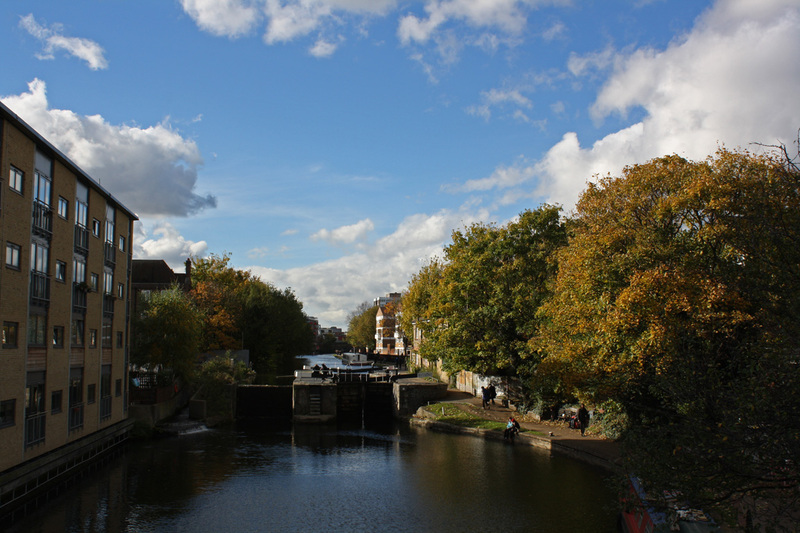 It was a mile walk from Hackney Central to the bottom of Broadway Market and then we decided to walk another mile east towards Haggerston Station along Regent’s Canal. It was a really beautiful walk and Regent’s Canal never fails to lift my spirits (not that I was sad to begin with) and leave me feeling refreshed and happy. The only thing that bugged us a little bit was the extremely rude cyclists. The signs to the canal walk clearly state that pedestrians have the right of way and still cyclists charge down the canal walk, ringing their little bells and bullying walkers to move out of their way. Not cool at all. 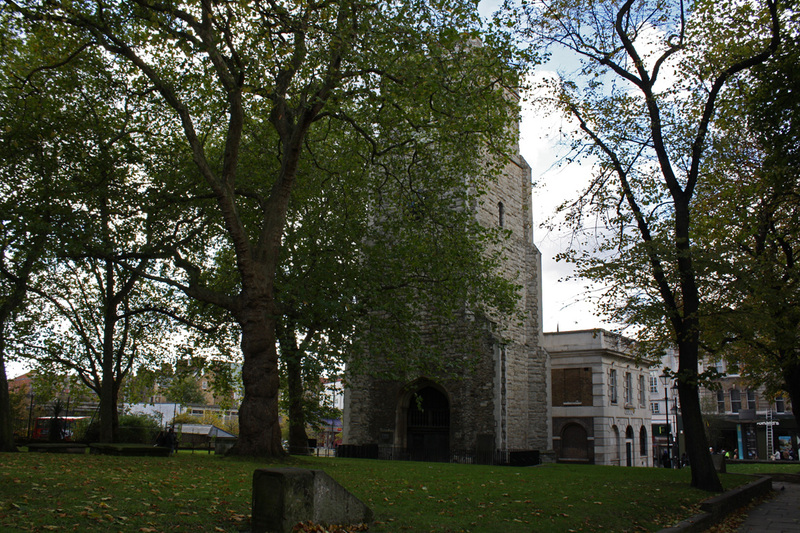 Far too soon, our visit to Hackney, London Fields and Haggerston was over. It was my first visit to this part of town and like Dalston which I visited in the summer (but didn’t blog about as it was meant to be a family visit) I’m really keen on exploring more of this area. I don’t really mind the Hipsters as I was young, insecure and arrogant once too. If anything, they are fun to look at if they’re not trying to ride you into a canal! London is a beautiful city, so much to see and experience..have never been to a market like this when I was in England as I spent most of my time working and studying,,wish for a chance to re-visit London again..Thanks for sharing! That is one market I haven't been to yet that has been on my list of things to do for ages. 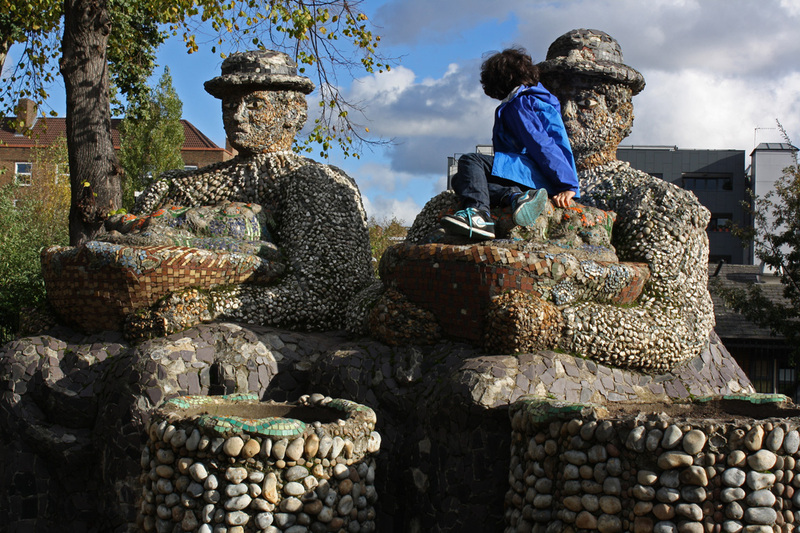 Love those pebble men statues. How cool! I ALWAYS visit the Broadway Market when I'm in London, so I will be there next Saturday. I love how you capture life in your photography, you just make everything so inviting. Thanks for your blog and maybe we will bump into each other next week! @ Kat: Ha! I've been to Columbia Flower Market before. I should post some photos but it was the drag end of the London at Dawn workshop and I was exhausted after being up since 3:45 am. @ Agnes: If you ever come again, you simply must visit some markets! I'm really learning to love them! @ Steph: really? I think you might like the area, definitely go visit! @ Ola: I promised I would appreciate this city, not like South Africa where I spent my time in the same old malls and pubs. @ Tammy: Enjoy your time here Tammy! I hope you have a wonderful week. This looked tempting. I have never walked along the Regent's canal. Maybe I should do that the next time I'm in London. Hi Emm...Yay..the market looks like such fun to explore..and I have my eye on those truffles and colorful papers! 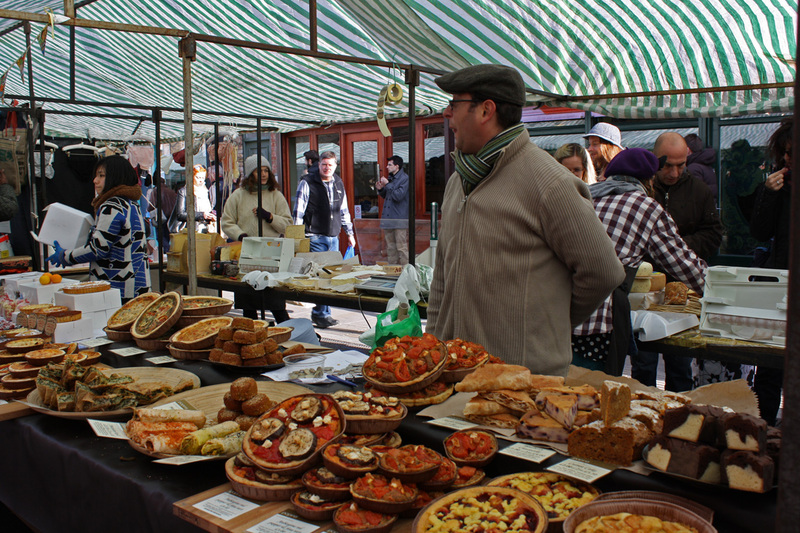 Gorgeous photos..
London markets are one of my favorite places in this beautiful city. During my every visit I try to stop at as many as possible. Emm... Thank you for your wonderful comments on my blog! You are so correct... You can only be hurt if you allow it! what a lovely morning spent in broadway market. thanks for sharing your beautiful photos, emm. boadway market looks and sounds wonderful...i love the neighborhood feeling to it. Might have seen you without realising, Emm. Although I hope we weren't the rude cyclists - I always try to be polite! I often think something has to be done about these cyclists who give the rest of us a bad name, when on foot I have been the victim of them too. 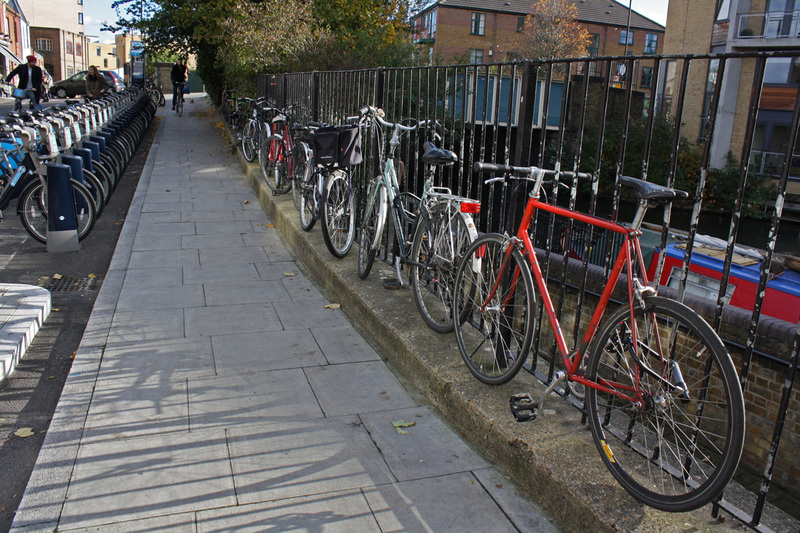 We cycled along the canal to Victoria Park and had considered heading for the market but weren't absolutely sure where it was. So in the end we continued up the Lea Valley and ended up in Walthalmstow at William Morris's house which has been turned into a beautiful gallery. Recommended, but now I know the market is so nice, I will be sure to go and see it next time I am cycling along that stretch of the canal. Fab photos! I haven't made it to Broadway Market yet but it looks lovely and Hackney isn't too far from me, so I will definitely be checking it out! It may not be a tired but a refreshing walk. Oh, yummy - all of it! 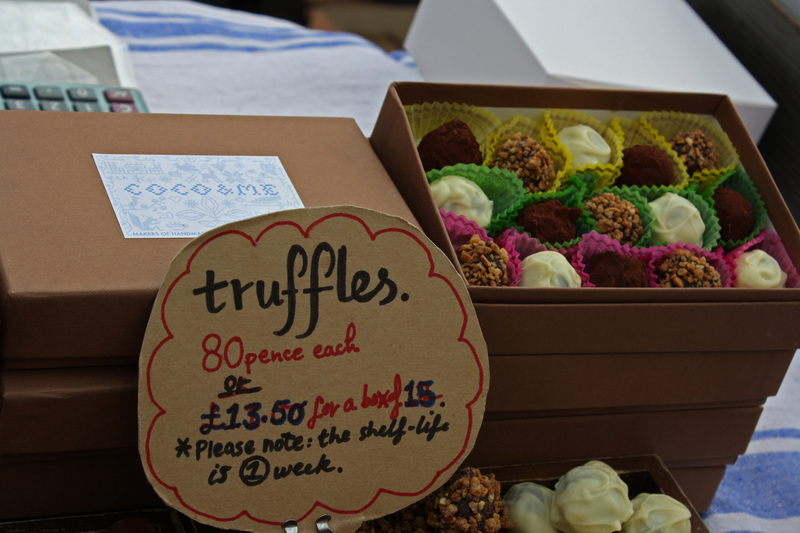 The photo of the truffles (and, I imagine the real thing) are delightful. I must admit I haven't thought about Polish food, but your description of pieróg make me want to try it - if I can find it! Another delightful day, thank you for taking us with you! Emm, everything looks either delicious, beautiful, interesting and inspiring indeed ... or all of the above together in your shots ! lovely area! those truffles look yummy. I don't remember the statues in London Fields. I bet you spent a lot on truffles mind! The markets are one of my favorite things about London. I love going to markets especially when they have yummy food like you found in the Hackney Market. The last market we went to was in Nice, on the Riviera. There was so much good food there too but we were leaving in a couple of days. I did get some “Muscat” grapes – they taste just like Muscat wine (like Sherry) so sweet – we don’t get them here in the States. Such a delicious post! All the food looks wonderful and I bet the smell was enticing you to want to try food from every stall. Cyclists are not suppose to ride on the sidewalk here. What are smartphone-ready-gloves? Are they gloves with the finger openings? @ Spiderdama: isn't it a lovely sculpture? Do you not have street markets at all in your part of Norway? @ RuneE: I would absolutely recommend it - I think you'd really enjoy it! @ Victoria: it was fun to explore - it really was a great market. @ Marko: it is a good idea! I think I'll try explore more markets in future for sure. @ Betty: you're right, it definitely was a neighbourhood market and I liked it! @ Kathy: we have been blessed but it's been chilly. @ Jenny: sounds like a fabulous ride Jenny, and one I wouldn't mind trying myself one day! I am sure you'd never be an inconsiderate cyclist! @ Emily: you definitely must try it out one day! I'm enjoying exploring that area more and more. @ Rainfield: it was refreshing indeed! @ Marion: definitely give Polish food a try. I am really starting to appreciate it. @ Angelika: perhaps we have! How curious!! @ This is Belgium: ha ha! Thank you! I am glad I captured the mood. @ Bon Bon: definitely a global attitude. Not nice. @ Adullamite: really? I think they're a couple of years old too. I didn't buy truffles but Kat did! @ Ivanhoe: don't they just look delicious? @ Stephanie: they weren't mine at first as I don't like crowds but I'm certainly learning to appreciate them. @ Vagabonde: French markets must be amazing, I'd go mad with the cheese and dried meats. @ AVCr8teur: cyclists are meant to give way along the canal paths but they're arrogant, I guess. I don't know what it is with the gloves - maybe the materials is thinner by the fingers and thumbs - but I don't have to take them off to use my iPhone. Wait a sec... Mandy you've never had a pierogie? Stop the presses - huh!? They're SO good!! !